For years, bloggers were told that the key to a successful blog was a steady stream of content. So people created detailed content calendars and hopped on the content marketing treadmill. Many organizations are still on that treadmill, scrambling to crank out anywhere from one to several blog posts every week—sometimes writing posts that are almost identical to ones they wrote months or years ago. But here’s the thing: that’s not the best way to run a blog anymore. Why write the same post twice, when you can just share the original with your audience—or better yet, update and republish it? And all those 500-word blog posts tend to have pretty short lifespans. When you stop promoting them, people stop reading them. And when you have hundreds of pages nobody visits anymore, Google starts to see your website as a ghost town (and they don’t like sending people to ghost towns). The world of blogging has changed. But thankfully, even if your blog didn’t do well last year, you don’t have to start over from scratch. With a little tidying up, the blog you have right now can start doing a lot more for your organization. 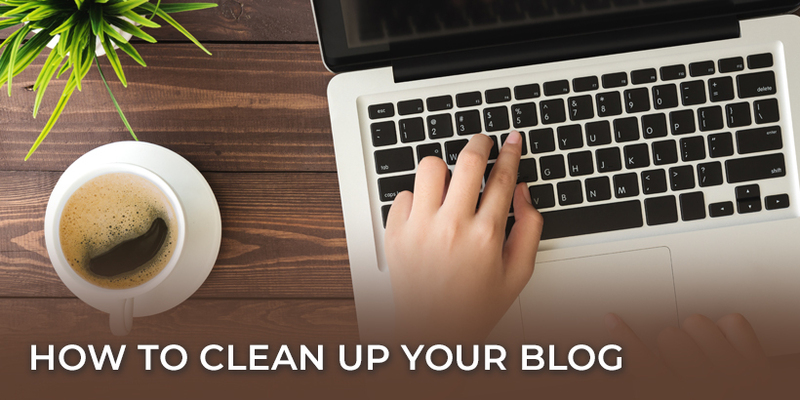 Here’s how you can start cleaning up your blog and getting more from the work you’ve already done. Have you ever heard someone throw out a blog post idea and thought, Haven’t we written this before? At some point, most bloggers can relate to that experience. It’s almost inevitable when you write about the same industry for long enough, but add the pressure of a content calendar or a blogging quota, and it’s bound to happen. Plus, over the last few years, how many different people have created content for your organization? The more people you have writing blog posts and coming up with ideas, the greater the chance is that you’ve published redundant content. That redundant content isn’t doing you any good. You might be contradicting yourself. One of them might be more outdated than the other. And you’re making it harder for your readers to benefit from your best insights. Do you really expect someone to read both 5 Volunteer Appreciation Ideas and How to Say Thank-You to Your Volunteers? Does one of these get more traffic than the other? Is one of them stronger, more unique, or more thorough? Do we link to one of these more than the other? Let’s say you create check-in/check-out software for churches to use in their nurseries. Over the years you’ve written dozens of 500-word posts about running a children’s ministry. None of those are probably going to rank in Google for “church nursery” because they aren’t very comprehensive. These “pillar pages” become posts you link to every time you talk about these topics in the future, they provide evergreen content you can promote again and again, and most importantly, they can start to climb the search engine results pages. That means people looking for help with their church nursery find you, and they start to see you as an expert in this space. 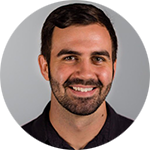 When your organization puts time and money into creating content, it probably sounds crazy to get rid of it. But if nobody is reading that content anymore, it’s not just “wasting space”—it’s hurting your reputation with Google. This might feel tedious, but it shows Google that your website is relevant to people looking into your industry or product category and that you are providing a good experience for the people who visit your site. And that can impact how often Google shows people your pages. Salvage what you can from these lonely old pages, but don’t trick yourself into thinking they still deserve to exist. If no one has viewed a page for months (or years! ), keeping it around does more harm than good. Cleaning up your blog is about getting the most out of the work you’ve already done and providing the best experience for your audience. It takes some work up front, but the increased traffic and smoother user experience will be worth the time and energy you put into it.